Welcome to a school unlike any other in Canada. For over 169 years, we have been providing a deeply meaningful education to our students — one rooted in our founder St. Madeleine Sophie Barat's vision that education transforms society. We are different for many reasons. We offer co-ed education in our Elementary School and single-gender education in our Senior School — the only school east of Montreal to do so. We are a Catholic school, and one that welcomes all faiths. We are proudly independent, with CAIS accreditation that provides a guarantee of excellence in education, leadership, management, and governance. And, we are small enough to retain our familial feel yet large enough to support a robust roster of course offerings, activities, and experiences. These Goals are our moral compass. Together with a purposeful pedagogy, a supportive faculty that encourages intellectual risks, and robust co-curricular and extra-curricular programs, our students cultivate their individual strengths, learn how to serve their community, develop the confidence to push beyond limitations, and sow seeds that lead to wisdom and transformation. 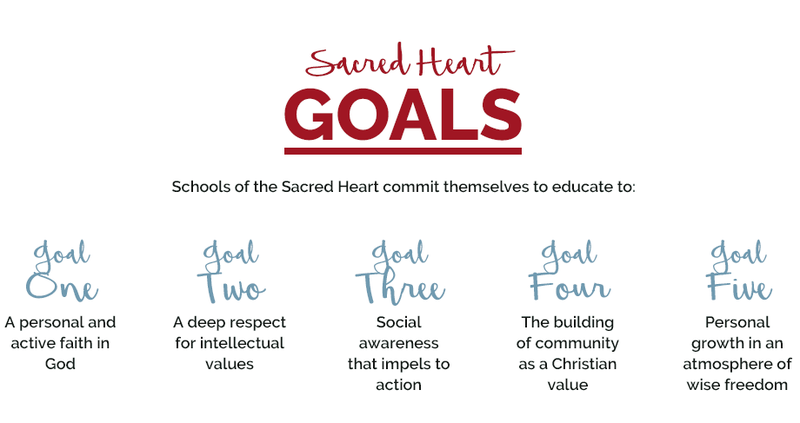 We invite you to explore our site, find out what really sets us apart, shatter the myths of independent education, ask a question, understand the value of a Sacred Heart education, and book a tour. If you can’t find what you’re looking for — let us know or check out our Frequently Asked Questions guide.